Dubai based developer, Damac, has as largely expected appealed the case successfully taken by Noel and Laurna Gaffney relating to an investment in property in Dubai’s International Financial Centre (DIFC). Below is a report from Dubai based Irish journalist, Shane McGinley, in Arabian Business which can be found in full here. “Damac are appealing this judgment for the opportunity to state their case.”The Gaffney’s purchased their apartment in December 2004 on the understanding the unit would be delivered in early 2008, a lawyer for the couple said. The claimants paid around 90 percent of the AED1.9m purchase price, but delivery of the unit was delayed and the tower is only now nearing completion. The pair notified Damac Park Towers they were terminating the contract in October 2010, citing breach of contract. The developer was ordered to refund the claimants in a March 31 hearing. 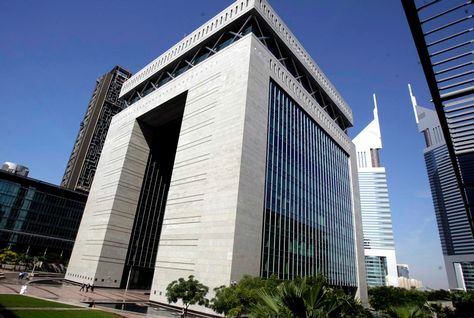 The decision offered hope to real estate investors in similar situations, said the claimants lawyer Kaashif Basit, but he warned rulings depended strongly on the contract in place.“Each case depends on the contract and the Gaffneys had a particular contract and terms that allowed them the recourse that they sought,” said Basit, a partner at Dubai law firm KBH Kaanuun.“It allowed them to terminate when the developer had not performed its obligations, there will be other contracts where that is not the case. But the major implication is that if you have the merits on your contract then there is recourse available,” he said. Investors who purchased after 2008 may face difficulties as many developers amended contract terms to cater for inevitable delays as Dubai’s real estate market began to slow,” he said. “For people who invested early on, we have seen a pattern of contracts that are more neutral between the investors and the developer,” he said.“People who bought on the secondary markets and later, from 2008 onwards, their contracts are more biased towards the developer as by then developers caught on that they were not going to be able to deliver their commitments.”His firm is currently bringing cases against Nakheel developments in Jumeirah Golf Estates and Jebel Ali.